On the day that #IVYPARK, Beyonce's new sport-luxe line drops, I want to talk about a line of hidden gems that may have been a little overlooked. I'm talking about Alexa Chung's latest collaboration with Marks and Spencer #ARCHIVEBYALEXA. M&S has had quite the makeover over the past few years, with many more lines appealing to the modern working woman, thus shaking its former shackles of a being a place where only dear old ladies shopped for their wardrobe staples. I love M&S, and as a massive Alexa fan, I was really excited to see what the collection had to offer. Alexa visited the M&S archives in Leeds as her inspiration for the collection, taking the best of what she found and updating them with a modern twist for retail. You can feel the history in the collection which has been inspired by everything from tea-towels, aprons and her Dad's old wooly jumpers. What I should point out though, is that the whole collection is definitely quintessentially British. Rightly so, Marks and Spencer is a British institution, so it feels only right that the collection should reflect that. There were a few pieces that I had my eye on, and I have to confess I was sitting ready to buy at 9am yesterday when the collection initially launched. 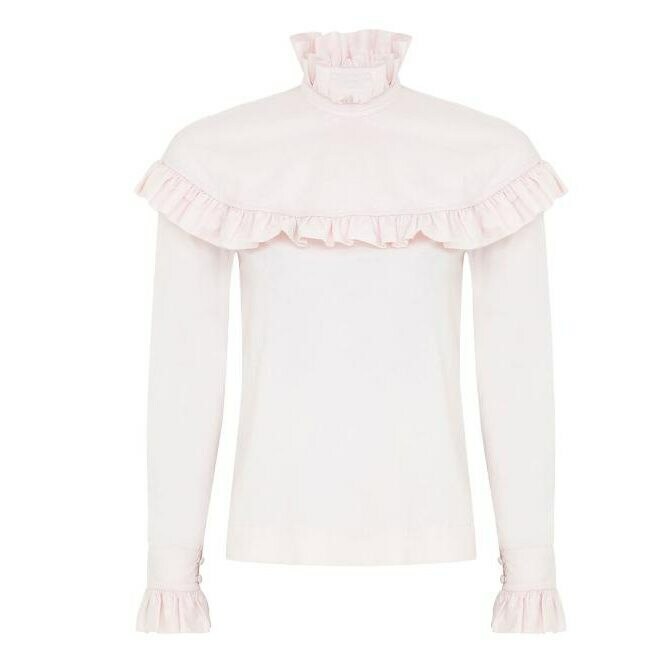 I am a massive fan of the Victorian-style pie-crust shirt, in both blush pink and white (said to be inspired by Princess Diana) and an absolute snip at £35 (here). I was a bit worried about how the high-neck would look on me though, so I went for the 'Eliza' dress instead, the piece I was most excited about! 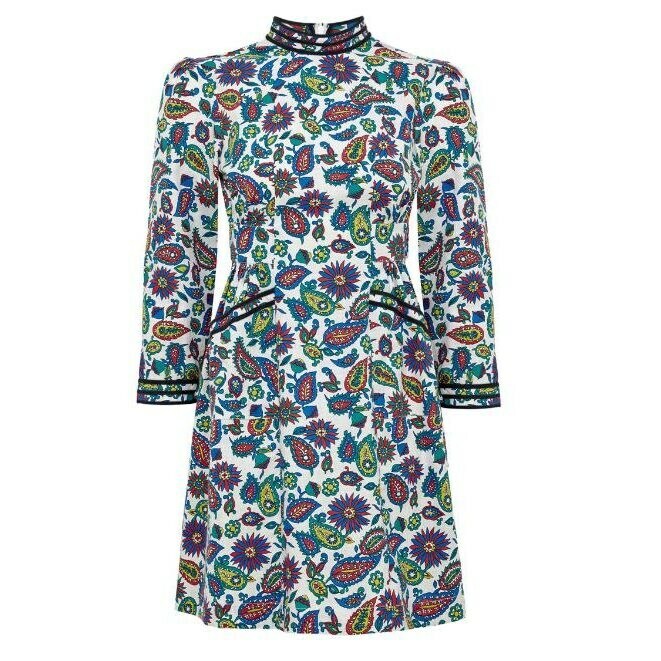 Said to be inspired by a 1950s apron, I just loved the paisley pattern and the shape of the dress. I ordered an 8, but it's quite roomy so I think a 6 probably would've been fine too-but I love it and was so excited to collect it today!! It's not often I'm a fan of celebrity collaborations, but if anyone knows style it's Alexa. I love mixing vintage and new with my own wardrobe, what could be more fun than playing with the decades?! I hope this is a start of a seasonal collection; I'm so excited to see what the next batch has to offer! There's a really good piece about #ARCHIVEBYALEXA on Marks and Spencer's website here and you can also shop the full collection whilst you're there...it'd be rude not to! Which were you're favourite pieces? Until next time lovelies...I'm off to put together an outfit post! Ah that's such a shame! But I'm tiny too so it's good to know because it would probably do the same to me! !